How it works: High efficiency and best results of treatment preparation Vichy Dercos Neogenic are associated with the biological activity of the molecule Stemoxidine 5%, which stimulates stem cells to function properly. 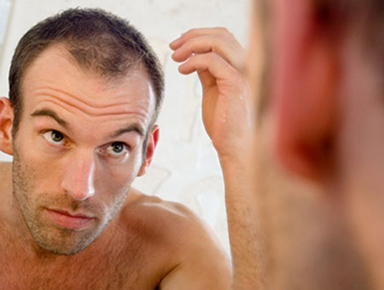 Stemoxidine 5% makes it possible to improve the microcirculation within the cells of the scalp. As a result, the cells of the scalp are better oxygenated and nourished, and the hair follicles stimulated to healthy growth. 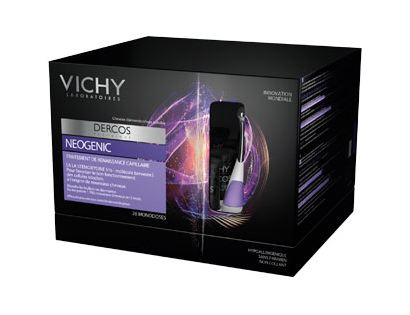 Modern recipe preparation Vichy Dercos Neogenic is based on an innovative, patented molecule Stemoxidine 5% of the high activity of stimulating new hair growth. Key Ingredients: Modern recipe of Vichy Dercos Neogenic is based on an innovative, patented molecule Stemoxidine 5% of the high activity of stimulating new hair growth. Formula of Vichy Dercos Neogenic was designed both for women and men who suffer from a decrease in the density and volume of the hair, or the excessive hair loss. The result of a three-month treatment use of Vichy Dercos Neogenic is excellent nourishment of the scalp and a marked improvement in the density and volume of hair. Ampules more over, make the hair becomes more susceptible to stacking, making it easier to get great styling effect. Get the Dercos Neogenic into your scalp with these user tips from Vichy. You'll need to do this just once a day - whenever your head requires some pampering. Not only does this zig-zag motion help to spread the solution evenly across the thinning areas on your head, it also gives your scalp a blood circulation-promoting rub – thanks to the specially designed tip of the applicator. 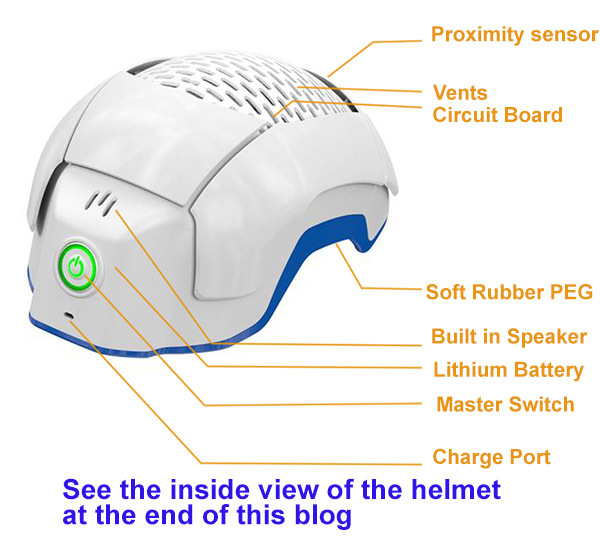 The only traces of the Dercos Neogenic’s presence: The fresh, tingling sensation you feel on your scalp and that very pleasant scent wafting from your head. The solution works just as well on wet or dry hair, say Vichy experts. Once you're done, trash the used ampoule. Rinse the applicator and air-dry it. Resist the urge to immediately start another head massage.